My name is Julia and I am 25 years old. I was born in Germany, but lived in several places. Mostly I lived in Austria with a 3-year stay in Italy as a child. The last 4 years I lived in Denmark for my Master in Human Nutrition and worked at the University of Copenhagen. 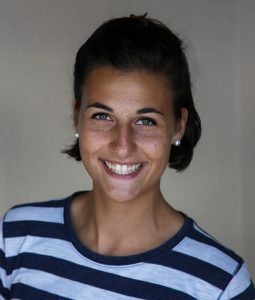 My master thesis focused on food choices in pre-adolescents (reasons for accepting or rejecting food). The study was conducted within Taste for Life, an organisation focusing on the dissemination of taste to children and adults for a better and healthier life. I was appointed as Ambassador of Taste and worked as a research assistant for Taste for Life and the Nordic Food Lab at the University of Copenhagen, where I researched about children’s food choices, developed teaching material for primary schools and organised several food related events for children. 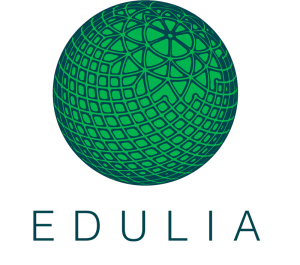 Why did you want to be a part of Edulia? To continue my research about children’s eating behaviour and to promote healthier eating from childhood. I felt that Edulia aligns perfectly with my recent work at Taste for Life and I knew that I want to continue my research within an interdisciplinary and international project. I was also excited about a new challenge after living in Denmark for the past years. Living in Italy attracted me a lot to apply for this position (I absolutely love Italian food and fresh pasta!). Which institution are you going to work in? What are your expectations of living in Florence (country of location)? I want to improve my Italian language skills and explore the country in all its corners. What do you think will be the main challenge for you the next three years? I moved to different countries before, so I am aware of the challenges that I have to face. The language barrier and differences in culture will probably be the biggest hurdle, but the academic tasks are not something that I underestimate either. What do you think about your future career? At the moment my main focus is on my PhD. I think that many of opportunities come along the places you go and the people you meet. However, I can see myself to continue researching about children’s eating behaviour as this field offers a lot of potential and future opportunities. Which challenges do you find most important for our society in the future? We are facing a lot of life-style diseases nowadays. Of course it is important to educate about what is healthy to eat or not, but changing someone’s eating behaviour is probably the most challenging of all. To teach about what is healthy is one thing, but to transfer this knowledge into action and be consistent with it is by far the bigger challenge. I hope that my future research will contribute with a lot more insights into children’s eating behaviour that can be used to develop new ways to improve children’s health in the long-term. Research is one part, but I hope that with my passion, by creating awareness and sharing knowledge I will also inspire other people to make a change. Your project in Edulia is focused on pre-adolescents. What do you think will be the challenges of doing research related to this age-group. I don’t think you can call it what the “worst” is, but children can often be quite unpredictable and sometimes not everything can go as planned, which brings its challenges. The good thing about pre-adolescents is that children are often more willing to try new foods and to participate in food related activities compared to many adults. Children are very curious and that makes it fun to work with and eases data collection. How Can Children be Encouraged to Eat Healthily?